Have you ever used a cashback website for your online purchases? It’s super easy – you just login to the site, find the online retailer you want to buy from and click on the link. Then, you automatically get cashback added to your account. Cashback sites work by receiving commissions for driving sales to retailers’ websites and returning part of that commission to their members. As the most generous cashback program, TopCashBack.com returns ALL of these commissions to their members. This means if a retailer pays them a commission of 5 percent when you click on their link, you get the whole 5 percent deposited into your TopCashBack.com account. TopCashBack makes their money on advertising, so they don’t keep a cut of their referral commissions like other rebate sites do. Through October 6, they’re even offering a $10 bonus if you sign up for TopCashBack.com for the first time. The catch is that you need to earn $10 in your account through your regular online shopping before the $10 bonus will be payable. Fortunately, there’s no expiration date on the $10 bonus, so you can take as much time as you need to reach the $10 threshold of earnings. TopCashBack offers rebates for shopping at many of the most popular online retailers, including Walmart, Amazon (limited to certain departments, up to 6% cashback), eBay, Groupon and GNC. When you’re ready to cash out, you can request a direct deposit, PayPal or Amazon voucher for the amount in your TopCashBack.com account. I’ve shopped through rebate sites for years and switched to TopCashBack recently because they pay back so much more than their competitors. Sign up today so you don’t miss the deadline and the $10 bonus! How about you? 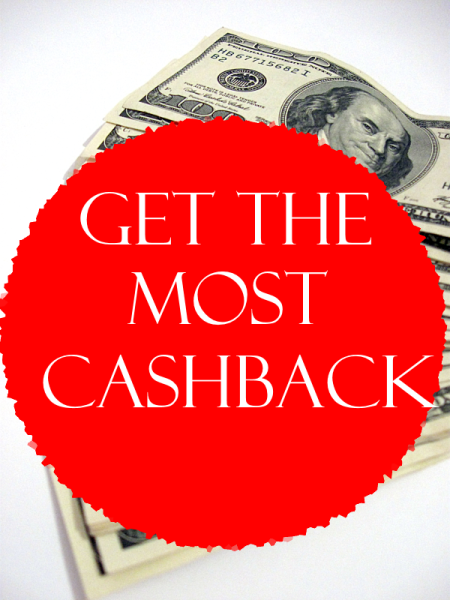 Do you shop through a cashback rebate site?